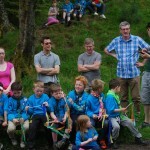 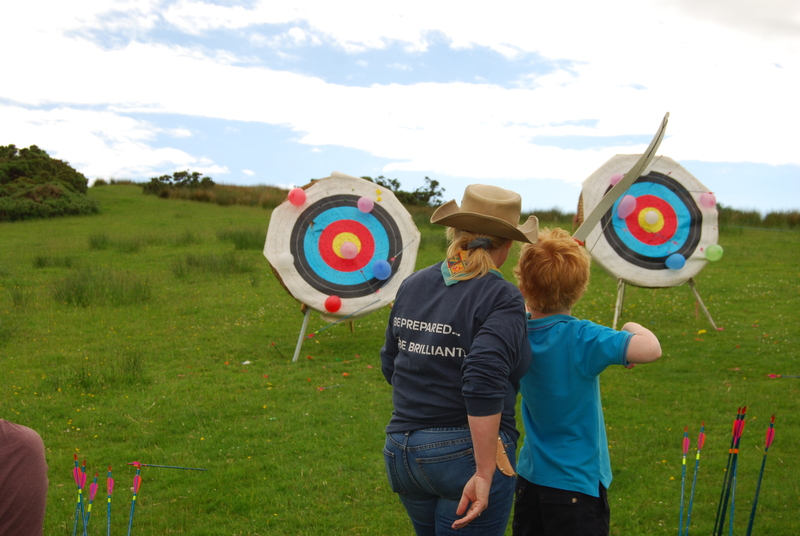 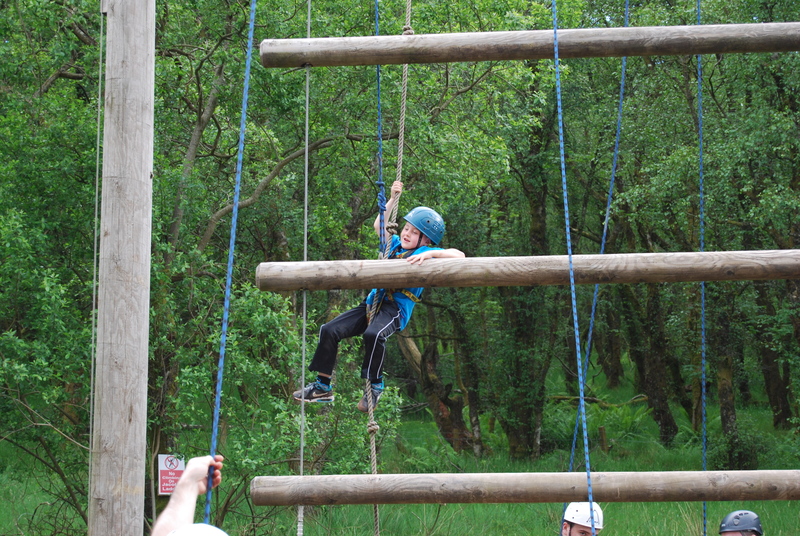 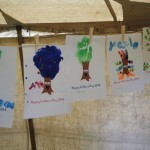 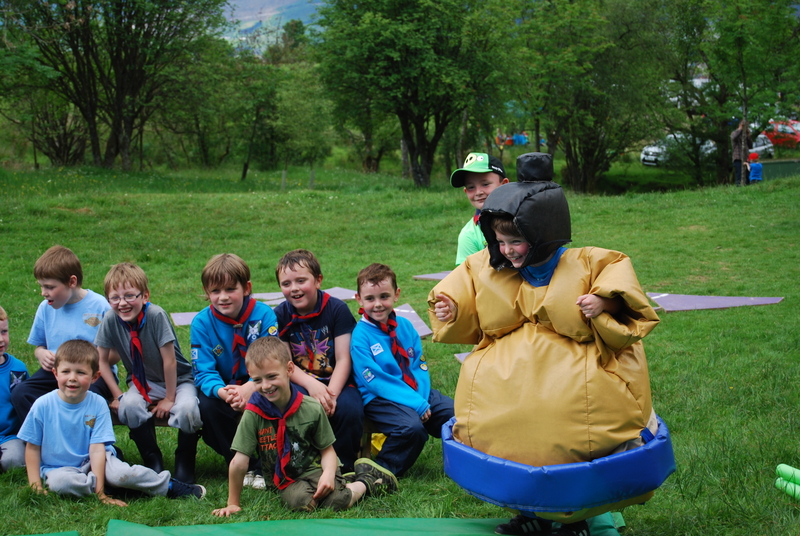 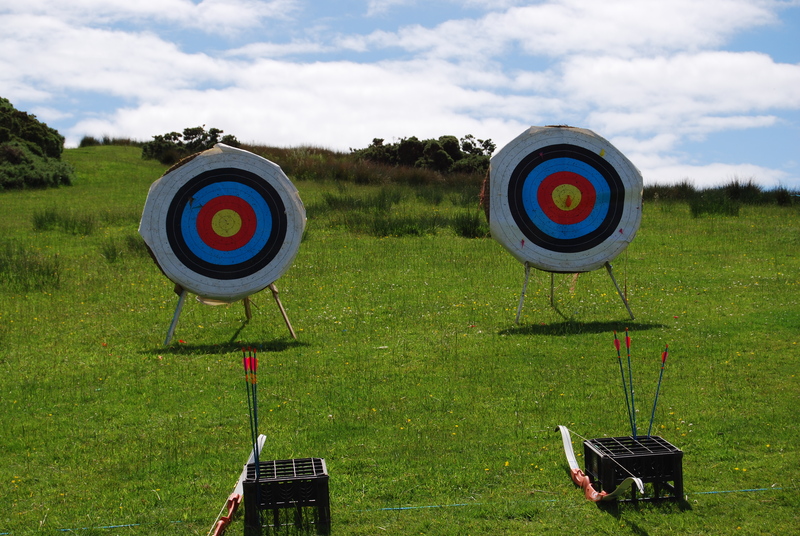 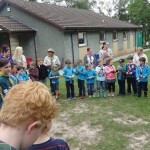 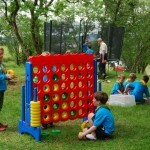 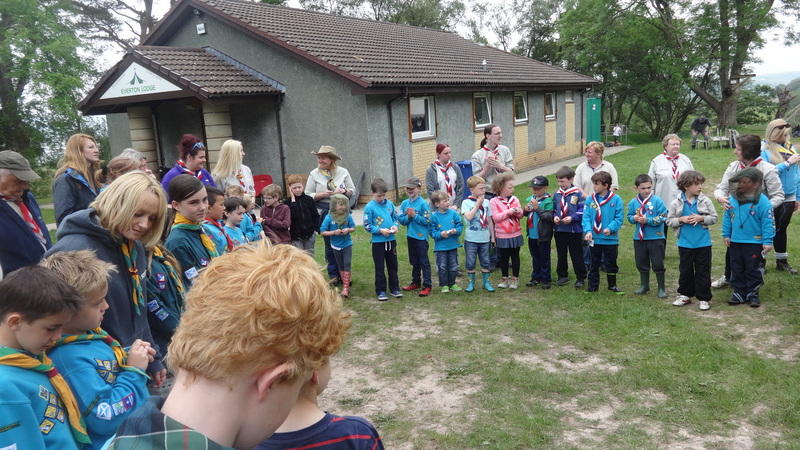 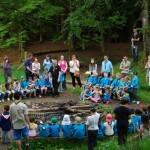 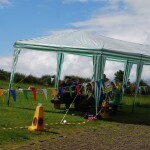 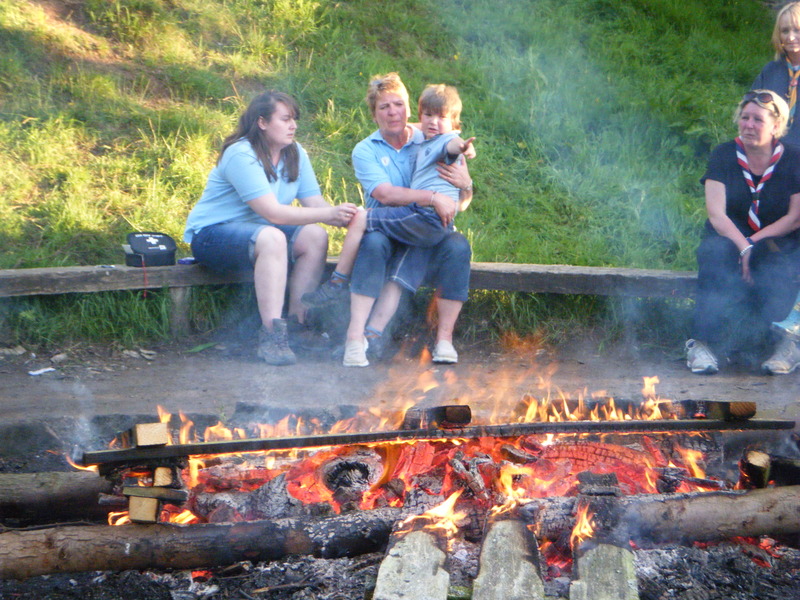 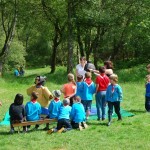 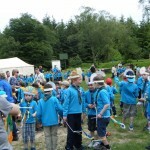 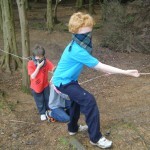 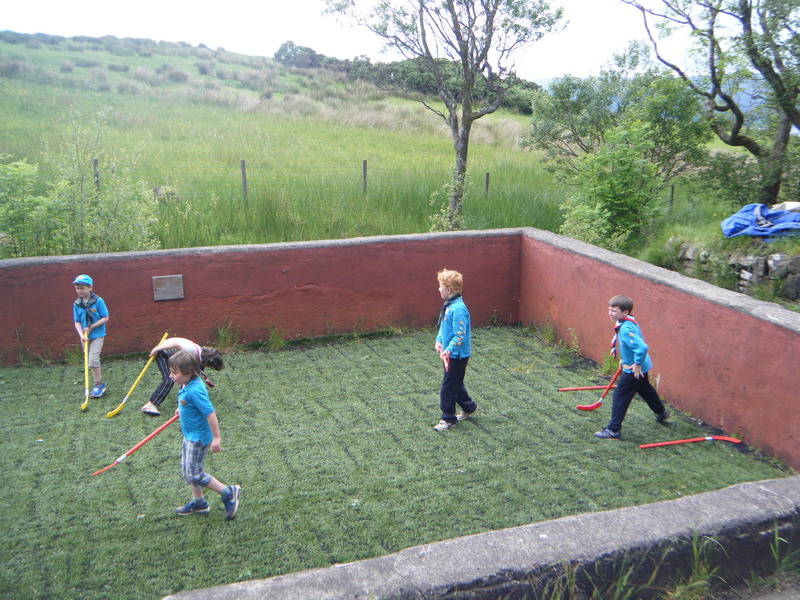 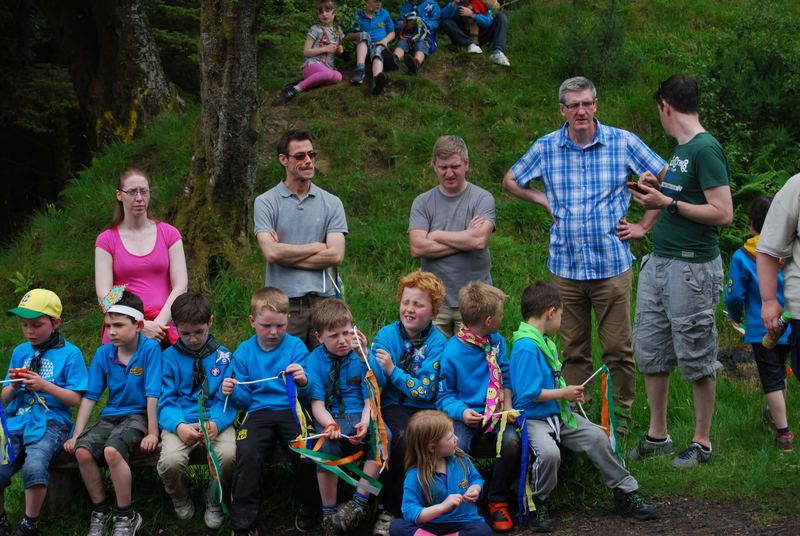 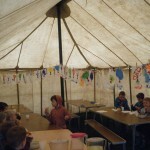 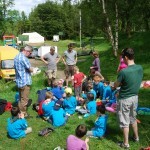 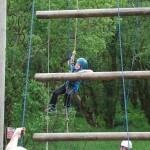 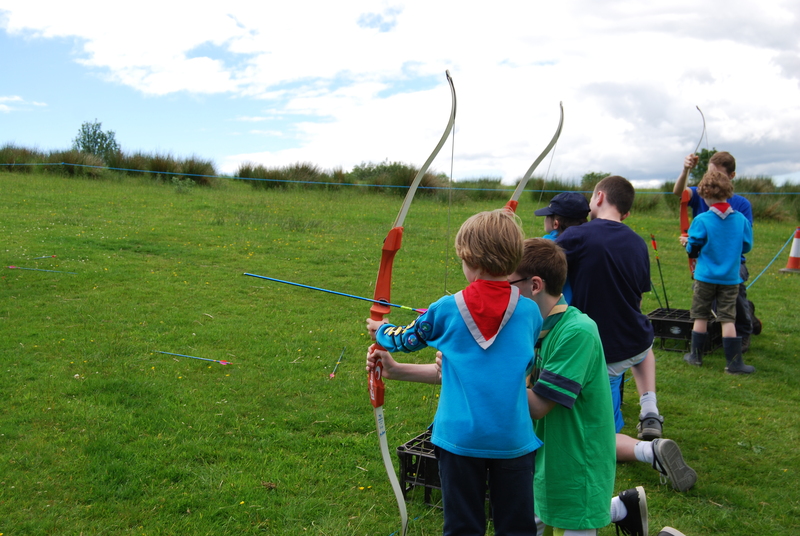 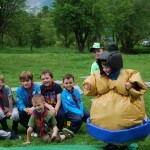 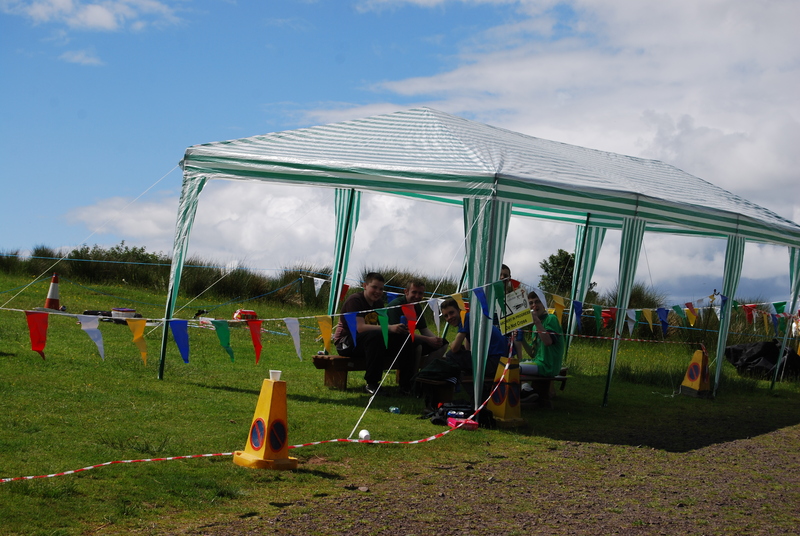 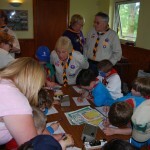 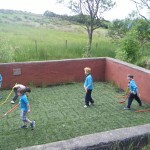 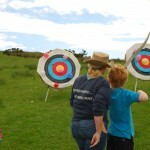 On Saturday 14th June, over 130 Beavers and 60 Leaders and parents gathered at Everton Scout Camp for a fun filled day. 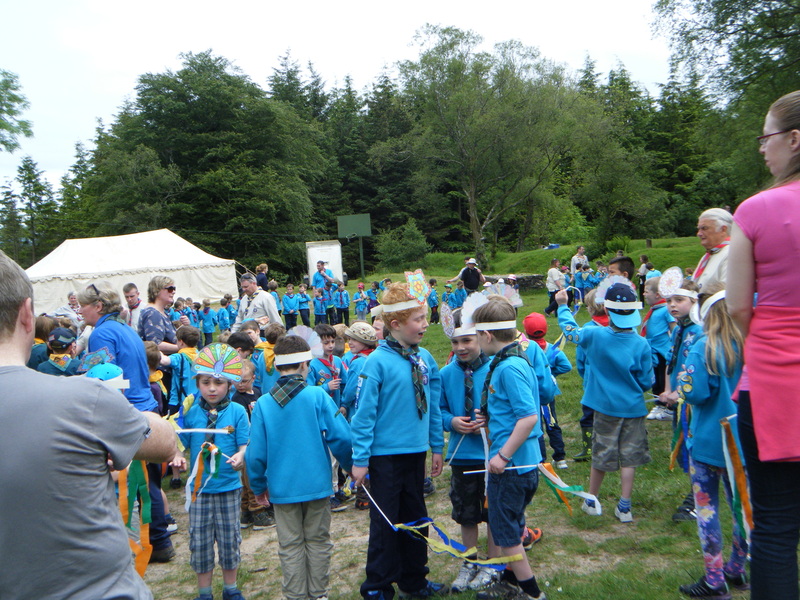 Having walked up from Inverkip village, they arrived ready for flagbreak and a welcome from ADC Liz Roders. 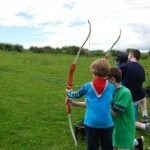 Activities ranged over Archery, Water Slide, Jacob’s Ladder, Bouncy Castle, Face Painting, Giant Jig Saw, Zumo Suits. 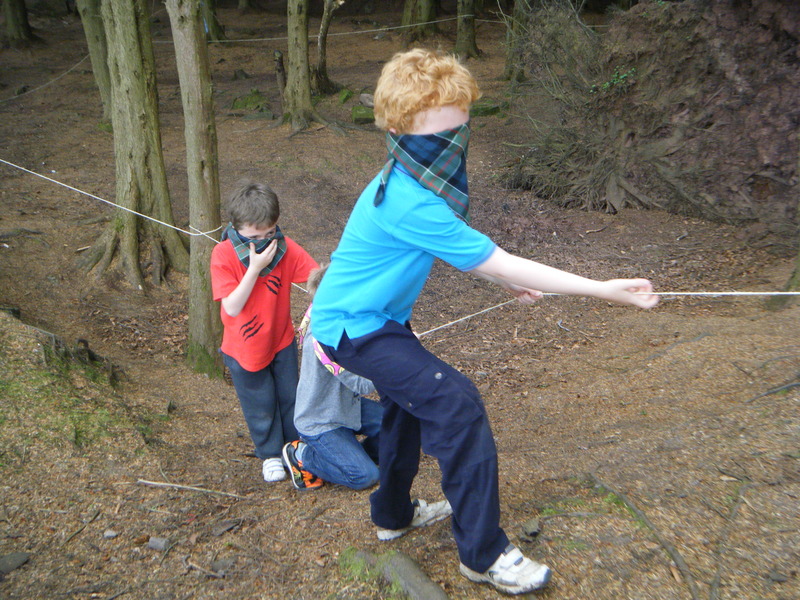 Hockey, Forest Trial and an assortment of races. 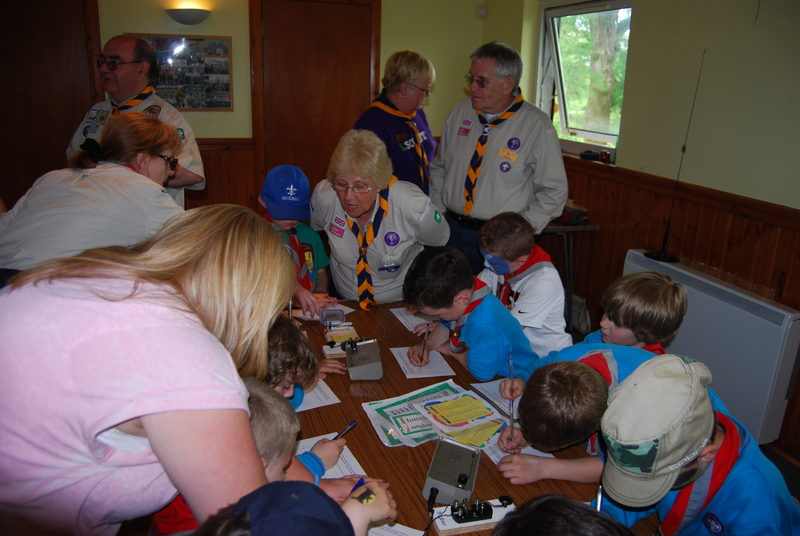 The Scout Radio Club was present to give the Beavers the opportunity to talk on the air and to try morse code. 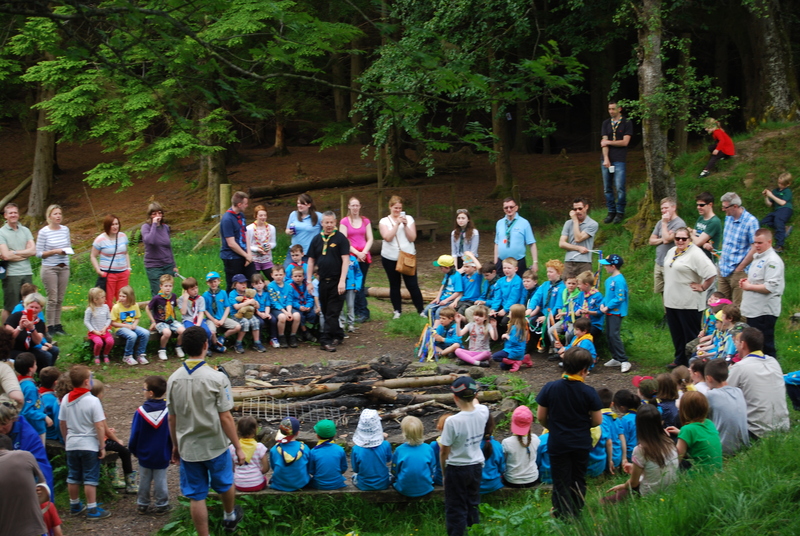 The Saturday finished with a sing song around the campfire circle. 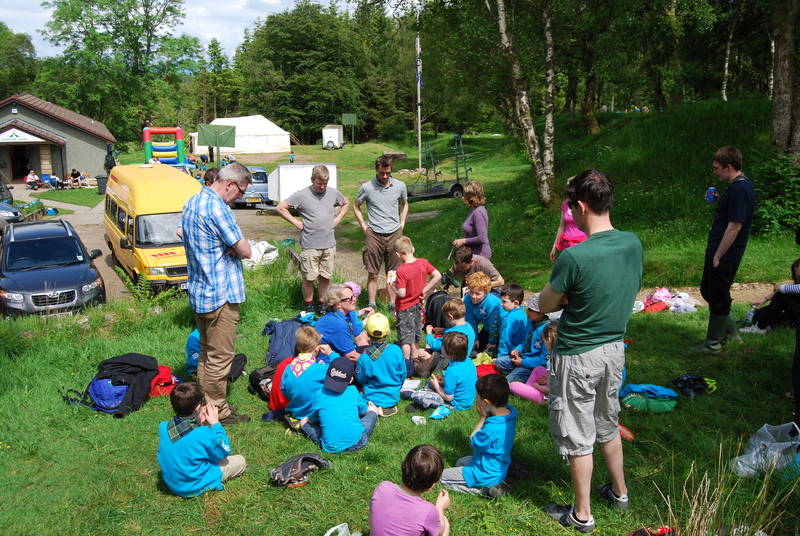 Many Beavers went home fully wound up after a tiring but exciting day. 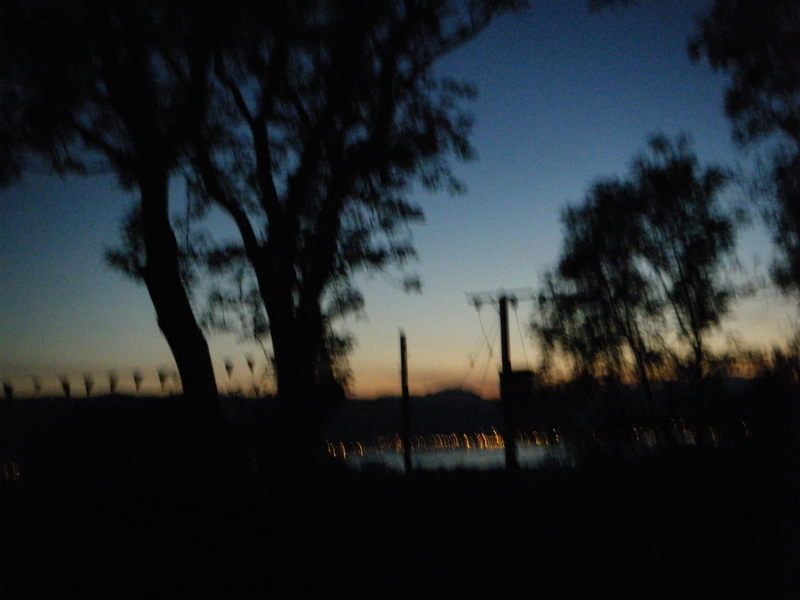 For some, the best was still to come. 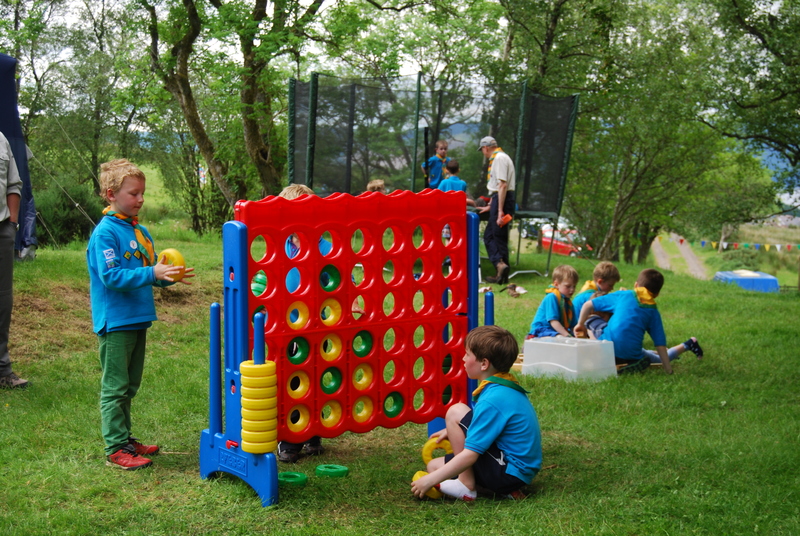 They were staying on to camp overnight. 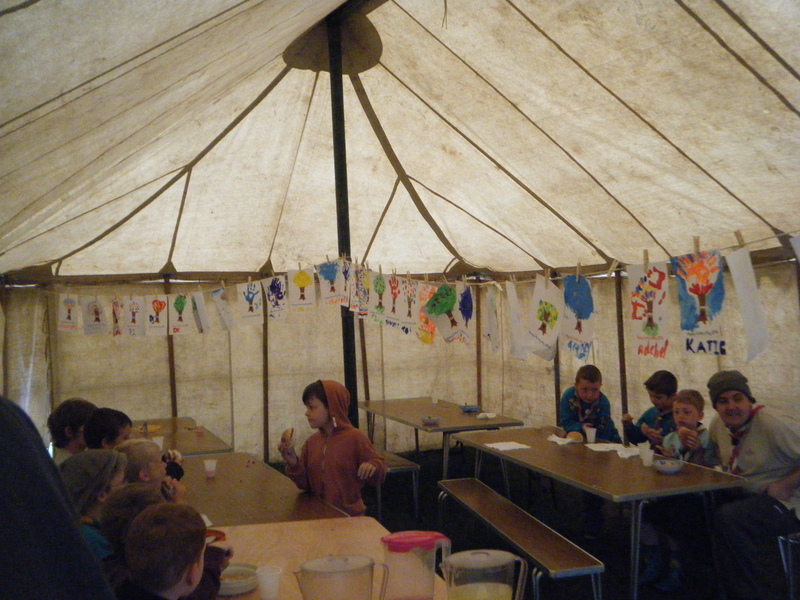 Tea (ably prepared by Liz Pinkerton and Maureen Bain) consisted of sausage & mash followed by swiss roll and custard. 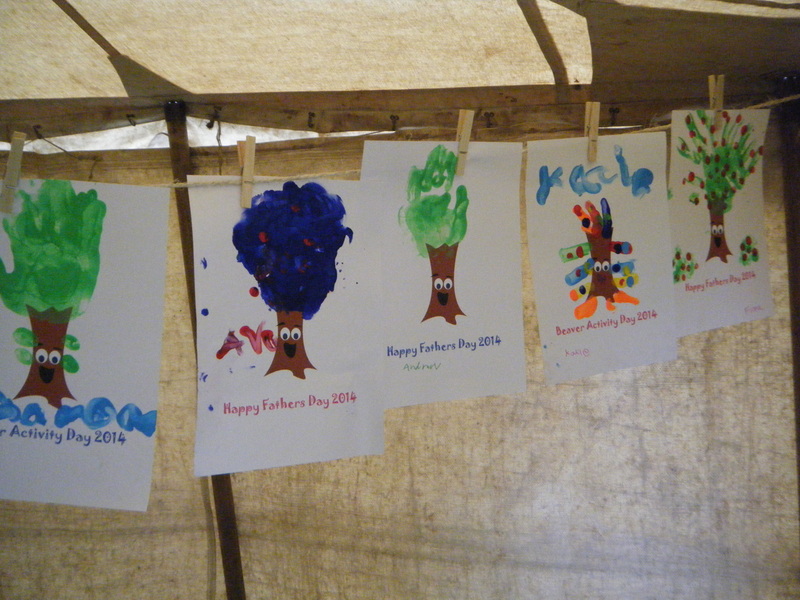 Then it was time to get crafty and covered in paint, making beautiful Father’s Day pictures. 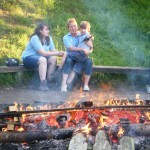 As the day drew to a close, it was time for midge repellant and a real campfire with a sing song and roasted marshmallows. 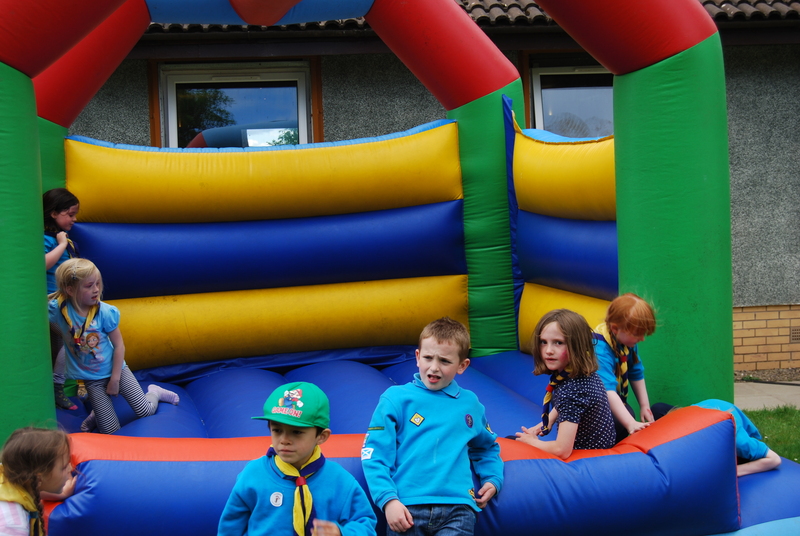 Afterwards, it was up to the lodge for hot chocolate, sausage rolls and cake before getting into PJ’s and settling down to watch the DVD ‘Frozen’ . 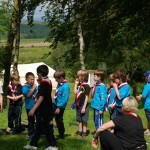 Gradually, over the film, the Beavers drifted off to their tents for some sleep. 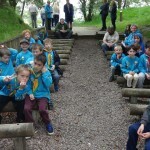 Apart from the odd midnight snack, all the Beavers slept soundly. 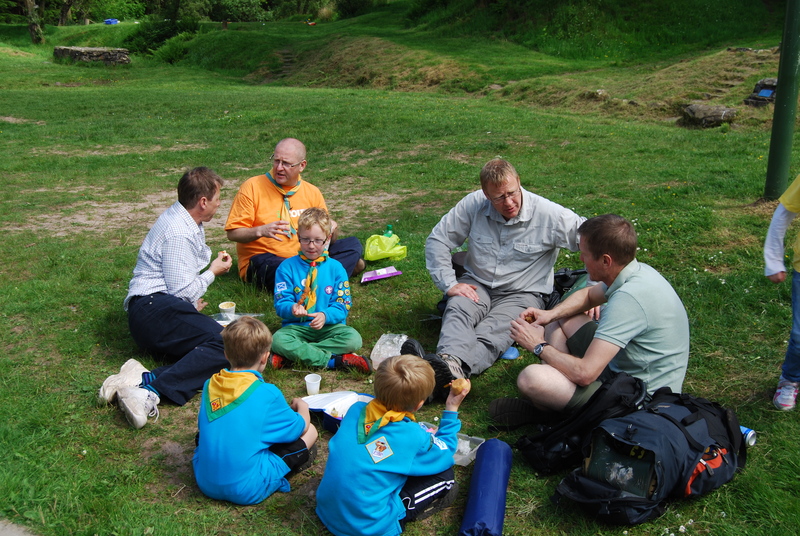 Sunday saw the start of another day with breakfast consisting of a cereal and a slice roll. 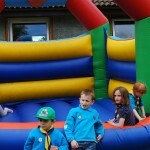 there was time for another shot of the slippy slide. 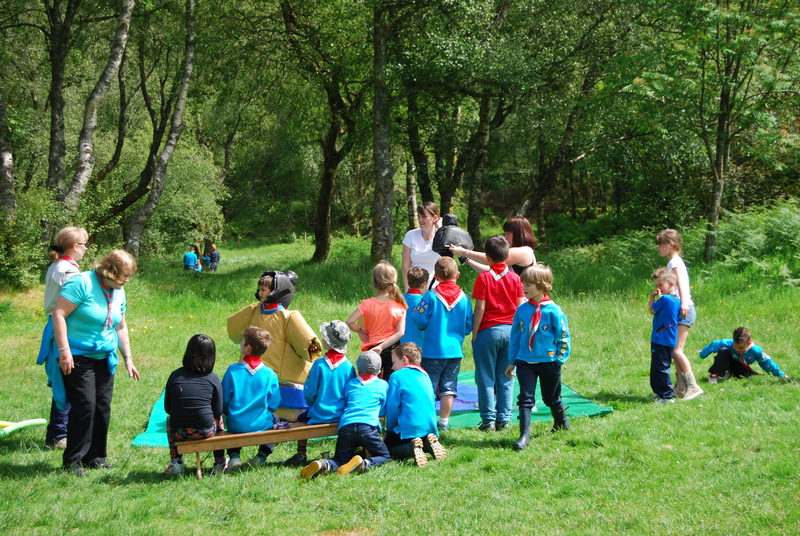 Having got dried and back in to uniform, it was time for a short Scout’s Own taken by 45th leader Jennifer Buchan. 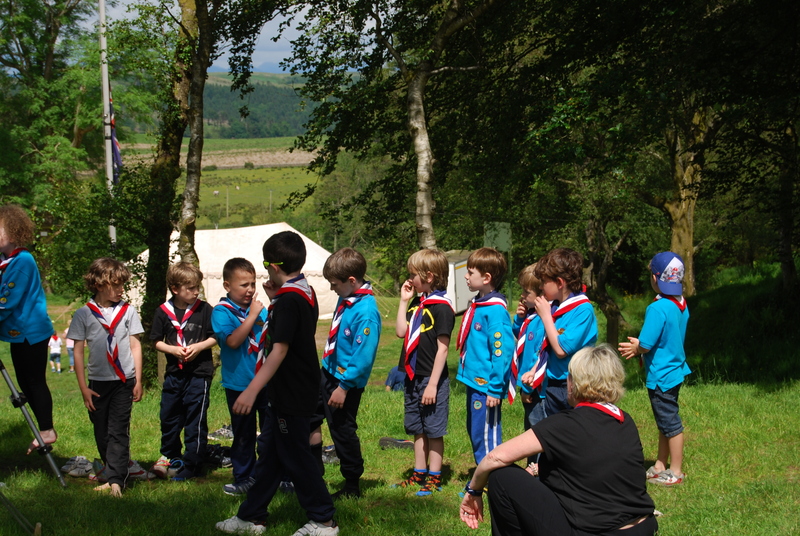 Finally at noon, it was time for flagdown and off home, tired but what an experience. 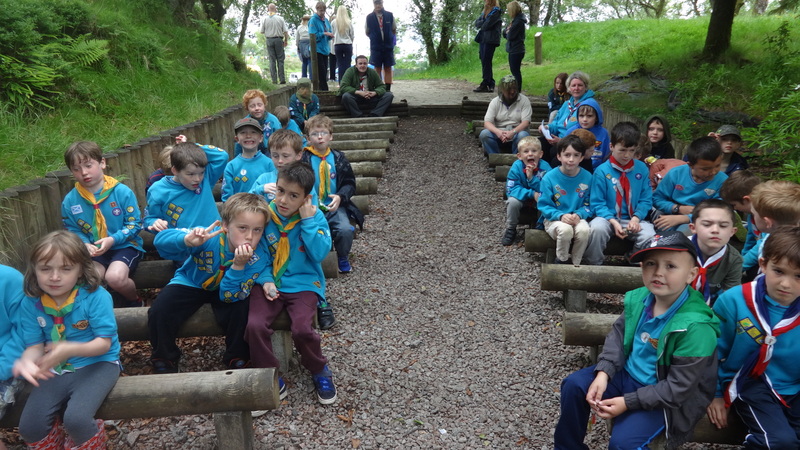 All made new friends and above all had fun and friendship. 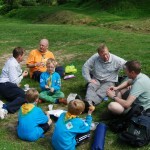 Many Scout Leaders and parents are to be thanked for the participation over the weekend. 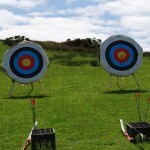 Without it, it would not have happened. 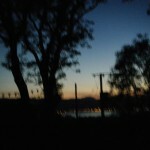 Click on to any photo, to see it full size.